Yesterday or day before Kate had mentioned that she would like to go shopping for clothes. I told her this morning that we could do that after lunch. As it turned out, this morning Kate had a hang nail that she asked me to clip. When I did, I noticed that her nails had gotten longer. I knew that it had been a long time since she had been to have her nails done; so I suggested we do that. She was pleased. This is one of those times I could kick myself for not thinking of this sooner. In the past year or so I had mentioned having her nails done, but she wasn’t interested because she was wearing her nails down from working outside. For the past 2-3 months, however, she has done that much less frequently and for shorter time periods. At any rate, we went to lunch at Panera and then walked a few doors down to the nails shop where I left her to have a manicure and a pedicure. When I picked her up an hour later, she was so pleased to have had her nails done. I only wish I had thought about it earlier. I suggested that we do this regularly from now on. She agreed and said she was going to suggest that herself. From there we went to Belk’s for slacks, hose, and bras. I thought it was a great idea to be looking for slacks at Belk because it would be much less expensive than the shop where we usually go. I helped pick out some slacks for her to try on, 1 khaki, 1 brown, and 1 black. She went into the dressing room and came out wearing the khakis. While she was in the room, I got another style of khaki and brown slacks for her to try on. When she went back to the room in which she had changed, the door was locked. She tried two other doors, and they were locked. She couldn’t remember which room she had been in. For the time being she went into another room with the new khakis I had brought to her. She came out in a few minutes wearing the same slacks that she was wearing when she went in. She didn’t realize it. When I told her, she said, “Well, where are the other ones?” I went into the room and found them hanging over the top of the partition separating her room from the one beside it. I took them to her for her to change into. She liked the ones she had just tried on better than the first ones, and we decided on 3 pair of slacks to buy. Then all we had to do was get a sales person to let her into the room in which she originally put on the first pair of slacks so that she could change into the slacks she had been wearing when we arrived. When the sales person opened the first door, Kate saw the clothes she had left. She wanted me to come in the room with her. Then I started to leave because I didn’t think she meant for me to remain with her. She stopped me and asked me to stay with her which I did. She was confused about which slacks were the ones she already owned vs. the ones that she had tried on. I told her which ones were hers, and she put them on. From that department we went to the lingerie departmentto buy bras. I remembered her size from our most recent trip to Belk about 3 weeks ago. She readily accepted my lead in this process. I picked out a bra that was like the 2 we had bought before. She liked it. I got two. She also wanted a black bra; so I went through the selection to find the right size. Then we went to buy hose. Once again, she let me take the lead. I found her size. The only thing she did was tell me the colors, black and a flesh color. I got 2 blacks and 3 flesh. At the end, she felt good about our purchases and thanked me. I felt good as well. I felt good as well for two reasons. I was glad it had been a good experience. In addition, we bought 3 pair of slacks for half the price we have been paying at her regular shop. I recognize that the ones we bought today are not of the same quality, but for her everyday needs these will be just fine. So I am getting more experience shopping for women’s clothes. I felt a little self-conscious being in the fitting room with her, but it worked out all right. I know this may happen again. I might as well get used to it. I came home directly from the Y in order to take Kate to Panera. She was up and dressed in black slacks and her Harrod’s sweatshirt that she bought when she and Ellen were in London in 2002. She had the sweatshirt on backwards. I asked her about going to Panera, and she said, “”In a little while.” I got on the computer and checked email and took care of registering for a platelet donation this afternoon. At 10:15, I went back to see if she were ready. She indicated she didn’t care. It was obvious that she was down. I asked her about it. She said she was bored. I said, “”Then let me take you to Panera, or we could watch a BBC program on TV.” She said she didn’t want to watch a TV program. She agreed to Panera. I came back in the kitchen. Shortly she came into the kitchen wearing the same clothes. She said, “I hope I don’t run into anybody I know at Panera.” I told her I thought we would go directly to lunch from Panera. This morning Kate was still sleeping/resting in bed when I reminded her that this is the morning of our monthly Y breakfast. She seemed very groggy. I told her she did not need to go, but she got up. In a few minutes the called for me. When I got to her, she said, “I don’t have anything to wear.” I gave her 2 pair of black slacks which she immediately took to her room. In a minute or two she came into the kitchen and asked if we were going somewhere this morning. I told her we were going to the Y breakfast. She again said she didn’t have anything to wear. I told her I had given her 2 pair of slacks. She asked where they were. I told her I had given them to her. She got into our bed and said they were probably on the bed in her bedroom. I checked. That is where they were. I gave them to her. In a few minutes, she came back and asked where we were going. I told her again. She told me she thought she would stay home. I told her that would be fine. I reminded her that our housekeeper would be coming around 8:30 and that the Robinsons would be here around 11:15. She groaned and got into the bed again. She asked what she could wear. I told her she had the 2 pair of slacks I have given her and I also had a pair of cream colored slacks we had recently bought. She asked that I put them on a chair in our bedroom. When I got home from breakfast she was still in bed. About an hour before the Robinsons were scheduled to arrive, I told her it was time to get up. She asked what she could wear. I got the cream colored slacks and gave them along with a top she had worn for the first time yesterday although we had bought it a year or so ago. It was nice one and still had the tags. When she came out dressed she wasn’t wearing the top I had given her. She couldn’t remember that I had given it to her or where she had put it and asked me to find it. I did so. What disturbed me most about all of this was how upset Kate had gotten. She was just so confused and could see it herself or she wouldn’t have asked for my help with her clothes. What I sense is that when she looks at her clothes, she just sees a lot of “stuff.” Nothing specific jump out at her. It is overwhelming, and she doesn’t know what to do. It is so very sad. I am always hurt to see her like this, and it is getting worse. Clothes have been a central issue for us from way back, but now it is continually leading to greater frustration for her and for me. As it turned out, the day went well. I haven’t had a chance to communicate with the Robinsons since they left, but I suspect they did not see much if any difference in Kate from the last time we were together. We had a good lunch and good conversation at the restaurant and at home. The day ended beautifully. We had dinner at our favorite Mexican restaurant. When we got home, I asked her if she would like to watch one episode of a BBC series I had recorded. She said she would rather relax, got her iPad, and sat in the family room working puzzles until a few minutes ago. I can’t remember if I reported that I found her computer late Saturday. I had been considering buying her a new one but decided to make a more thorough search of the house before doing so. I found it in a corner of her room behind a table with the printer on it. I have a hard time believing she had put it there. I think Libby must have done that 2-3 weeks ago. I had thought Kate was simply losing interest in the computer (that may be correct) but now I am wondering if she just didn’t know where it was. I charged it and put it where she would see it. I wanted to see if she had remembered it was missing because she was very disturbed that she might have left it at Panera’s. I haven’t seen her using it since she has had it back. It may be that she is losing interest in it meaning that it is becoming more difficult for her to use. From my standpoint the big issue we are facing is Kate and her clothes. She is turning to me to help when she can’t find anything to wear, but it is hard to prevent the problem. I knew this was coming, but it is a little sooner than I thought it would be. We’re off to a good start today. It is a beautiful spring day. I took my customary 3.21-mile walk after getting up at 6:15 and having breakfast. Since then I have been reviewing and responding to email. I purchased a new audio system about 4 weeks ago and have been listening to music much more than in the past. I have found that to be very therapeutic for me. Kate got up around 8:30 and got some apple juice. I reminded her that we get haircuts at 10:30 this morning and that she would get color. Then she went back to her bedroom and turned on the TV. When I went back about 15 minutes ago, she was just getting up to get her iPad. She asked me to bring her some yogurt which I did. I had started to ask if she would want her morning muffin at Panera but chose not to do so when she seemed like she just wanted to relax right now. I changed out of my walking clothes and dressed for the day. I felt it was better for her to relax, and we could leisurely get to our haircuts. She doesn’t really need the muffin. She is up to 174 now, a far cry from 99 before we were married. It is hard for her to stop eating though. Last night I had suggested we go to Hathaway’s for dinner. I was thinking that we both needed something less fattening. I got a cup of black bean soup, and we split a grilled salmon with asparagus and a baked sweet potato. I had only gotten the soup because the rest is not usually that filling. When I started to ask our server for the check, Kate said, “Don’t you want some dessert?” I really didn’t but knew she did. We ended up getting the skillet chocolate chip cookie which I think is to die for but has to be loaded with calories. The upshot of that was that when we left, I was stuffed again. I find that I am having a difficult time getting my weight back to what I like it to be (160-162 vs. 164-167). This is just of the type of adaptations that one has to make along this journey. I believe it is worth it, however. I don’t want to look back one of these days and wish that I had loosened up a bit on my routine. I cut off my previous entry because Kate said, “I want to go home now.” I asked why, and she told me to get a bra. We closed down our iPads and went home. We didn’t have much time as we were supposed to meet our friends for lunch in 20 minutes. We looked all around her room/office and did not find either of the bras we had purchased 7-10 days ago; however, I found an old one on the floor near her bed. I gave it to her, and we left. We had a very good time with our friend. When we got home from lunch, it was almost 2:30. I came inside while Kate remained outside. She stayed out there until shortly after 3:30. While she was pruning, I went back to her room to organize her clothes that were strewn all around the room. I sorted them into slacks that fit her, those that don’t, and those about which I am unsure. I also put all her tops together and put them on the bed in the guest room. I also tried to sort socks but wasn’t very successful. Most of them were single socks and not pairs of socks. These remain on her bed at the moment. I don’t believe Kate has been in her room yet, at least she hasn’t said anything about its being cleaned up. I believe it is possible that she won’t notice at all. I’ll give her a chance to notice before I say anything. My next task is to buy some new socks, bras, and nightgowns. Last night she slept in a pair of slacks and a top. I am writing this from Panera. About 10:00 Kate said, “Let’s go to Panera.” Fortunately, I had just finished labeling a set of photos I had scanned yesterday. It was a good time to take a break. I could tell she was eager to go. I went back to our bathroom and noticed that she had not taken her medicine. I got the pills and went back to the kitchen. In addition, she had not combed her hair at all. I mentioned that we would be going directly to meet friends for lunch. She had forgotten and wasn’t dressed the way she would have wanted. She was wearing her old, dirty yellow sweater. I asked if she didn’t have another one she could wear. She told me to go find one. I looked for the one I had recently bought her to replace the one she always wears. I looked but didn’t find it. I brought her leather jacket to her. It is also soiled. She didn’t want to wear that. Ultimately, she wore the yellow one. About 10 minutes ago, she asked, “Are we going to Belk’s when we leave here?” I told her we were going to meet our friends and asked what she needed. She said she wanted to buy a bra. I asked her about the two that we had bought last week. She didn’t remember and didn’t know where they are. Thus she is not wearing a bra. She was quite frustrated as we were leaving the house. I took this as a sign of frustration with herself over her inability to keep up with “things” (clothes, iPad, etc.). To be continued. Last Friday night Kevin arrived for a long weekend visit with us. This is the third time he has come to visit us without his family. I hasten to add that nothing is wrong at his home, he has simply wanted to take advantage of the time he has with Kate. His plan is to visit twice a year. His first visit was last March. The second was in September. Assuming he sticks to this schedule we will see him here again this coming September. The first thing to report is that it was another good visit. We went to one of our local theaters on Saturday to see Peter and the Starcatcher. We had dinner at Casa Bella beforehand. The dinner was good. The play so-so. Nonetheless, it was fun being together. Sunday we all went to Sunday school and church. In SS I showed 2 videos showing diverse ways of recognizing Holy Week. (We are in a series of lesson with the theme of diversity within Christianity.) The first video was the executive director of Jews for Jesus who was explaining the meaning and procedure for the Seder. The other talked about the Easter parade in Seville, Spain. We had a short, but good discussion. The class seemed to enjoy it. After church, we went to lunch at Chalupes so that Kevin would be acquainted with our favorite Mexican restaurant. We were pleased that he liked the enchiladas even though they were not Tex-Mex. At 3:00 we went to the Bijou where we saw Steel Magnolias. We all enjoyed it. There were two highlights of the weekend. The first was doing 4 video conversations with Kate. Kevin used his camera. The first two 25-minute conversations were with Kate and me. We talked a little about her family, our courtship, starting graduate school at TCU and our move to Madison. The next two were with Kevin and Kate. They talked a little more about her family but mostly focused on her work when he was a child, her retirement, and other things that included his own impression of things when he was a child. These conversations reminded me of those that are broadcast on NPR’s “Morning Edition” every Friday. They were quite natural. We were all at ease and simply talked about the subjects as we might have done if we had been sitting around in casual conversation. I am expecting these to be great oral history records and plan for us to do more in the future. I am going to investigate getting a video camera so that we can continue to do this on our own. It was also a very therapeutic thing for Kate. First of all, she got pleasure out of talking about the various aspects of her life. Second, I believe the act of talking itself was a good way of exercising her brain. She did very well. No one would have suspected she has Alzheimer’s. The second highlight was our visit with Kevin’s piano teacher from the time he started playing (around 7 or 8) and his senior year in high school when she suggested he take from a professor of music at the UT. She has recently moved to a local retirement community with continuing care from cottages, apartments, to assisted living, skilled nursing, and dementia units. She wanted to hear Kevin play. She played some herself and got him to the piano. He has not played in a while, but we enjoyed hearing him as well. It was a leisurely visit, but we did stay up a little later and didn’t make up for it by sleeping later than usual. Neither did Kate rest as much during the day. That changed today. She got up at 5:25 this morning to say goodbye to him. We left at 5:35. She went back to bed and didn’t get up until I got her up for lunch at 11:35. It is 3:01 pm right now. She went back to bed at 2:08. She got along so well while Kevin was here that he didn’t notice much difference from when he last saw her in December. He had been a little concerned before getting here. He had spoken with Virginia Franklin and my brother. Both of them had told him how much she had declined since they had seen her last. I told Kevin that Kate had had a good week before he arrived. His visit helped her sustain this pattern. Now that he is gone, I can see her taking a step back. It is as though she were on stage while Kevin was here. Now she doesn’t’ have to keep up pretenses. It’s really more than that though. We were busy while he was here. She didn’t have to rely on her iPad for entertainment. She didn’t get bored. That is different today. If only I could keep her entertained more steadily, she would be better. This is difficult with my other responsibilities. I hope I can get her to have some more video conversations. That might help. This morning I felt like we were headed for an unpleasant day. That was probably reflected in my first post of the day. The second was more upbeat. I am glad to report that it ended well. How do I account for it? Staying busy. We were out of the house a good bit of the day. We didn’t get to Panera until 11:15. We finished lunch close to 1:30. From there we drove to a senior living facility to visit one of my Sunday school class members. Her daughter. from Atlanta was visiting with her which made for a pleasant time. My class member has gone down since I last saw her. She is in the dementia unit and clearly showed that she is in the right place. She seemed to know us, but she was quite confused. Every time I asked a question, she gave a strange answer. When we left, we went to Belk’s to get Kate some shoes. We also got her some new hose. She looked for a summer sweater, something that she could wear into a restaurant to protect her from the air conditioning, but did not find anything. From there we came home for a short break. I turned on some music. We both got something to drink, water for me, Dr. Pepper for her. We sat together in the family room and chatted for about 30 minutes. Then we went looking for a sweater but no luck. It was 5:15; so we decided to have an early dinner and went to Naples. We both enjoyed the meal and our time together. When we got home, she asked me to leave the garage door open, and she would stay outside a while. She remained there about an hour. I came inside, put on some music, and started copying a few CDs to my computer from which I will transfer them to my phone. Kate came in a short time ago. When she got out of the shower, she asked me if I were going to bring something in for dinner. I told her we had already eaten.Then she remembered. Kate and I got to Panera a little later than usual today (11:15 am). She had been quite bored and down this morning before coming. As I mentioned in my previous post, she has not been using her computer in the past few days, perhaps a week, and she hasn’t spent but very little time in the yard. That has left the iPad as her only source of activity. I told her that we could come to Panera and then go to lunch and then visit a member of our Sunday school class, who is now living in a dementia unit at local facility. She accepted my suggestion without enthusiasm. The funny, and pleasing, thing is that once we arrived at Panera, and she was seated at Panera, she smiled and told me that she felt better. We have now been here for an hour. She has been engaged with her jigsaw puzzles on the iPad. It is unusual, but she hasn’t suggested that I get her anything else to eat beyond the normal blueberry muffin that I ordered when we first arrived. This seems to suggest that she got a lift simply by getting out of the house. 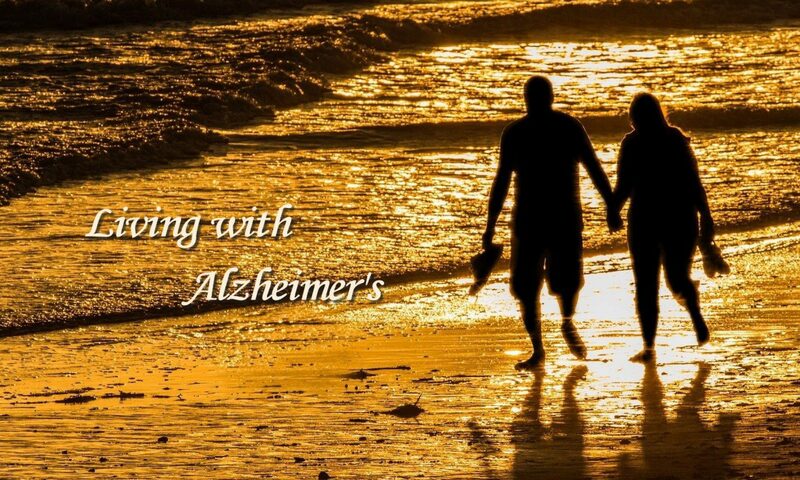 I had planned to call a friend whose wife has Alzheimer’s about our getting together this afternoon. We have met before, but it has been a long time. Now I am hesitant to schedule anything until I feel comfortable that Kate is all right. These are the kinds of challenges one faces. I am in that in between time when Kate is not ready for a companion to stay with her, and I feel the need to be with her as much as possible. After a couple of good days, Kate has fallen back into her slump. She has been spending almost all of her time on her iPad. I don’t think I have seen her on her computer for several days. When we have gone to Panera the past few times, she has not taken her computer, something that she has routinely done up until now. I may ask her about this. I suspect that she must have found that she is not able to work with it as well as she has done in the past. If she loses the ability to work on her photos, that is another low blow. I want to put together a photo album of our marriage and have asked her if she could help with that. She indicated that she would. I may suggest that we do a little of that this morning or afternoon. I am also going to call a couple in my Sunday school class and see if we can visit with them this afternoon. He is on dialysis and doesn’t get to visit us much. He has been with us only a couple of times in the past year. ’Kate’s mood affects me. When she is up, I am up. When she is down, I am down. I am going to have to work harder to occupy her in meaningful things. I have a list of things I am going to attempt. These include involvement with the Shepherd’s Center, a seniors educational program that meets at a Methodist not too far from us. I am also going to see if there are some volunteer activities that we might do together.